PresidentTrump talks with then-Lt. Gov. 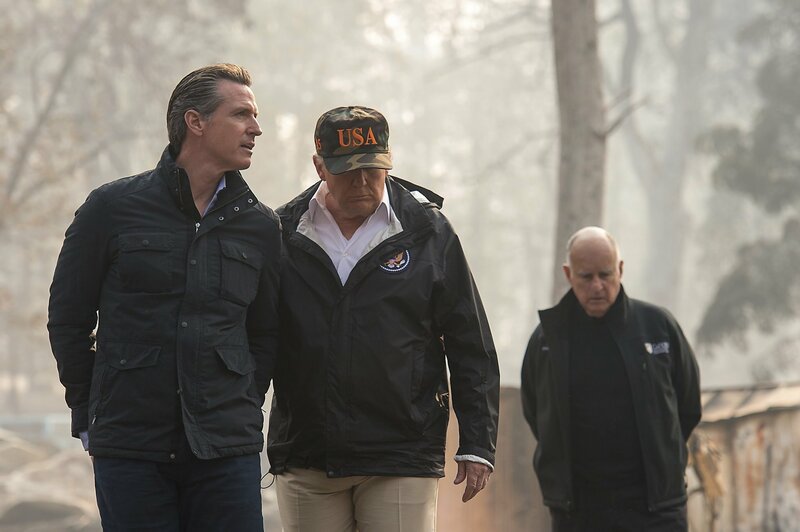 Gavin Newsom during a Nov. 17 visit to a Butte County neighborhood destroyed by wildfires. At right is then-Gov. Jerry Brown.